Not every construction job requires a wheel loader or excavator. Trust a Kubota Skid-Steer if you’re in need of a versatile machine that can maneuver around commercial and residential areas without causing destruction. Your Kubota Skid-Steer Loader can take the form of whatever tool you need. Available attachments include buckets, hammers, rotary cutters, graders, forks, tree pullers and so much more. Designed to be a true work horse, Kubota Skid-Steer Loaders boast a long reach. The loader arm design is able to dig and push just as good as a radial machine. The reinforced connections to the coupler and rear cross bar make boom operation dependable so you can tackle just about any job. Skid Steer Loaders from our competitors have a bad reputation of trapping operators unless the boom is completely lowered. That’s all fine and good until you need to exit the machine without cutting your job short. Kubota Skid-Steers offer a three feet of screen-to-screen cab space. On top of a comfortable operating experience, the roll-up door makes entrance and exit easy regardless of boom position. At the flip of a switch, you can go from 7mph to 11mph speeds when you need to get around the worksite. 11mph over rugged terrain doesn’t always fare well for your back. 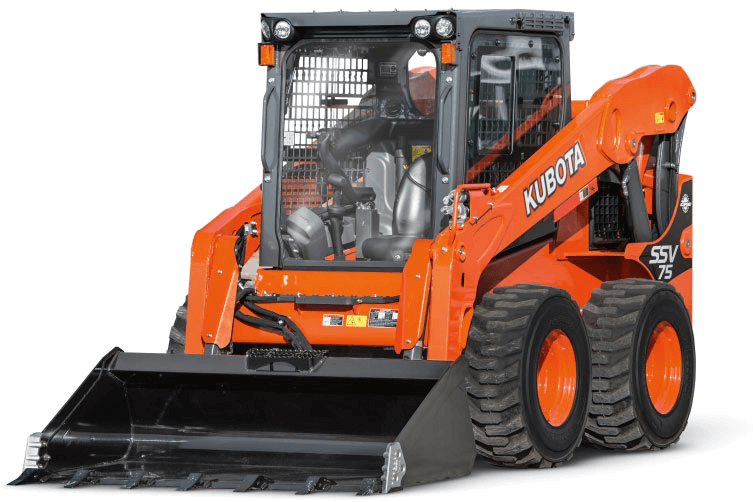 Kubota Skid Loaders come standard with a suspension seat so you don’t feel every bump. Instead of burdening the engine compartment with 26 gallons of fuel tank, we’ve attached it to the door. 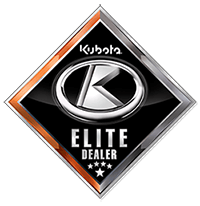 The free space in your Kubota Skid Loader’s engine compartment makes checks and services easier than ever before. At Bobby Ford Tractor and Equipment, we’ve got the SSV Series Kubota Skid Steer for Sale that you’ve been searching for. Fill out the form to get a quote on a skid-steer near you!